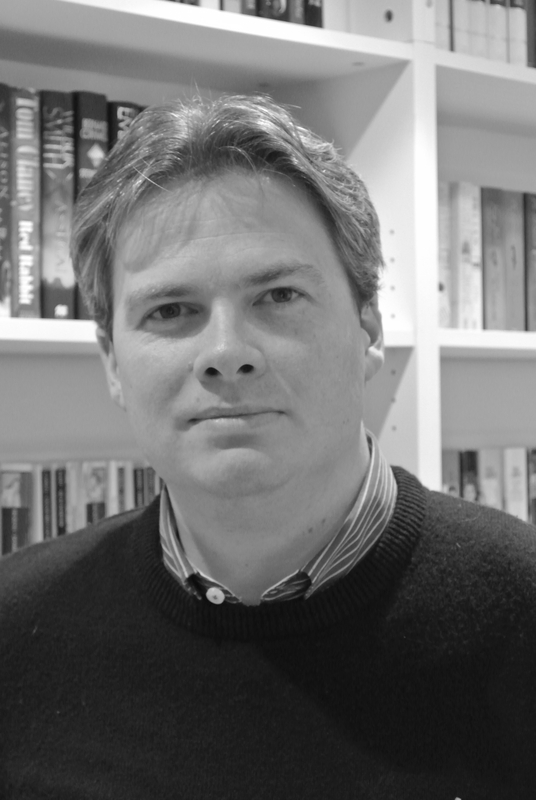 Book Corner: Interview with Paul Fraser Collard – History… the interesting bits! 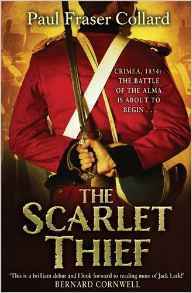 Jack Lark exploded onto Kindles and bookshelves everywhere in Paul’s 1st novel, The Scarlet Thief, and now, 3 years later, The Last Legionnaire is Jack Lark’s 5th adventure. And what an adventure! 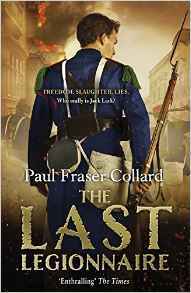 This week, after finishing his latest book, The Last Legionnaire, I was lucky enough to catch up with its author, Paul Fraser Collard and ask him a few questions about his writing and the hero of his books, Jack Lark. What made you become a writer? I have always read a lot. For years, I spent my daily commute to work reading anything I could get my hands on. My favourite books were always historical fiction, especially the Sharpe novels by Bernard Cornwell. When I was in my early thirties, I began to wonder if I had it in me to write my own novel. One day, after a tough day at work, I opened up my laptop and made a start. Who are your major writing influences? Bernard Cornwell stands out. I have read every book he has ever written. For me, he gets the mix of historical detail and plot exactly right. The books never fail to sweep me away into the past whilst still giving me a wonderful education into the period he is covering. I would also say I have been influenced by the fantastic George McDonald Fraser. His Flashman series is quite magnificent. I could never hope to write anything close to such brilliance, but it did give me the idea of setting each novel in a new setting with a different cast of supporting characters. Jack Lark is quite a unique character, a soldier/officer impostor. How did you come up with him as your character? Is he based on an actual historic person? The idea for Jack was developed from the desire to find a way to move a character around without tying him to a single regiment or a particular military campaign. I knew that is what I wanted to make my series stand out, and so I thought long and hard how to create a character that was unique enough to be able to travel the Victorian world. The idea for an imposter came from the real story of Percy Toplis, a man made famous by the BBC TV series called The Monocled Mutineer. Percy was a rogue from a mining town in the north of England, yet he managed to pass himself off as a British army officer during the First Word War. Poor Percy met a rather nasty end, but he gave me the proof I felt I needed that a lad from a very humble background could manage to impersonate an officer. If someone said they wanted to make a film of your books, who would you pick to play Jack Lark? Goodness, I hope this happens! However, I am dreadful at answering this question. I just don’t know of any actor that matches the picture of Jack that I carry in my head. Perhaps readers of this interview can send me their suggestions! How long do you spend researching a novel before you start writing? I always start any novel with a period of research. This generally begins whilst I am still working on another book. I work full time so everything has to be fitted in as and when I can. I would say that on average I spend around three months learning the history of the next novel. Some have been easier than others. The American Civil War or the events of the Indian Mutiny are covered by hundreds of books, whereas the campaign against the Shah of Persia and the battle of Khoosh-Ab barely feature anywhere! What comes first, your storyline or your research? They both develop together. The history gives me the framework and the plot is the fabric that gets woven around it. I put the two together in a very detailed plan that tends to be around 20-30,000 words. Then all I have to do it flesh it all out. With The Last Legionnaire, Jack becomes embroiled in a war that Britain took no part in; how did you decide where he was going to fight next? I always have a vague idea where Jack is going for the next couple of novels. From there, I cast around to see what events happened in the years following the last novel I have planned. The tricky bit is thinking of how Jack can go from one to the other. 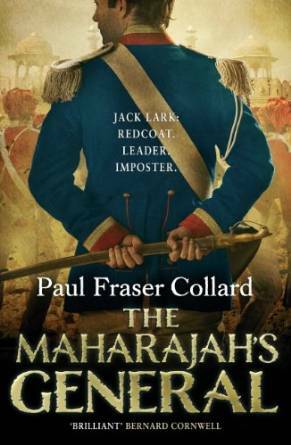 I remember a review of The Maharajah’s General that stated that it would be a dull series indeed, if Jack just moved from one convenient identity to another (a Victorian version of Mr Ben, if you like!). So I always think very carefully about the link between the novels. Hopefully they work! Do you know how the book is going to end when you start it? Pretty much. As I have to cram my writing into short gaps in my day, I need to be able to write fast. This makes planning pretty important and my novel outline is always very detailed. That said, it can and does change. The ending to The Last Legionnaire change dramatically about one week before I had to submit it to my editor. The ending I had planned just didn’t sit well and so it had to be changed. How do you organise your writing day? My writing time is squeezed into my commute at the start and the end of the day. I have quite a long journey so that gives me just under two hours a day dedicated to writing. I then fit what I can into other times. This means I have to be very disciplined about using what time I have as e ffectively as I can. I try hard to write at full speed on the train, making sure I cram as much productivity into those two hours as I can. I am not one of those writers who had the luxury of ruminating over the perfect sentence! What do you enjoy most about writing? Creating the story is the best bit and I love plotting and creating the detailed outline. What is the worst thing about writing? Finishing the first draft! This gets harder, if I start planning the next novel before I have finished the current one. How long does it take to do a project from start to finish? So far I am getting a novel done in around ten months. I tend to work on multiple books at the same time. Right now I am polishing book 6, writing a short story whilst also plotting and researching for book 7.
Who are your favourite personalities from history? Is there anyone you would particularly like to write about, or include in Jack’s adventures? I love the idea of working in a reference to Flashman in one of Jack’s stories, but I must say, I have always been much more interested in the ordinary men and women who found themselves caught up in the cataclysm of war than the great and famous personalities. For me, the tale of an ordinary infantryman is more interesting than that of a famous general. Apart from a few exceptions, Jack’s stories will focus on what the battles were like for the poor bloody individuals on the front line. What other historical periods would you like to write about? I w ould really enjoy writing about WW2. If anything this period fascinates me even more than the Victorian Empire. I have written a novel set in WW2, but for now it is on the back burner as its needs a re-write that I just don’t have time to do. For the moment at least! Do you ever get writer’s block? If so, how do you get around it? I have to say that I don’t often get writer’s block. I think this is because I have so little time to actually write. I tend to do my thinking at other times. When I sit down to write, I slip into blast mode and just go for it. If I do get stuck then I jump to something else. I cannot bear to waste time! It is too precious. Do you find social media – such as Facebook – a benefit or a hindrance? I love it! The publishers are very keen on social media and I was a little daunted at first. But now I think it is the best outlet I have. I have found so many brilliant people on Facebook and on Twitter and I would now count many of them as friends. I love the fact that I can be available to anyone kind enough to read my books and I always enjoy being able to chat about history or anything else that comes up. What will be your next project? Where is Jack fighting next – and when do we get to read it? Next up is the start of The American Civil War and specifically the First Battle of Bull Run (Jack fights for the Union in this one). If you have finished The Last Le gionnaire then you will have an idea of what takes Jack across the Atlantic. This one should be out early in 2017. How many more Jack Lark adventures do we have to look forward to? Do you have a number in mind, or will he keep fighting until there are no wars left? I cannot imagine ever letting Jack settle down and I hope he can keep going for many years, and many novels, to come. You will know when I have written the last one as I will make sure the cover image is of him facing the reader for the first time. I would like to extend my thanks to Paul Fraser Collard for his fantastic answers. Look out for my review of The Last Legionnaire, which should go live on Friday 13th May, 2016. These books look soo good and I love ones with history involved so I am definitely buying these ! 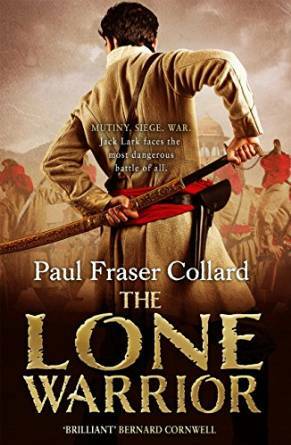 Pingback: Book Corner: The Last Legionnaire by Paul Fraser Collard – History… the interesting bits! 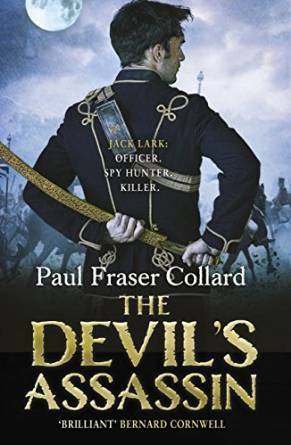 Pingback: Book Corner: The Rebel Killer by Paul Fraser Collard – History… the interesting bits!